Love is the most beautiful thing. It has the strong power to make up or break up. Love is everywhere, between everyone – be it friends, a mother and son/daughter, a student and teacher or brother and sister. Love gives one the courage and motivation to face each situation and circumstance of life. Kalpana is a Hindi word and name of the book; which itself means an imagination. It is a fictional story of a girl named Kalpana. The purpose of writing this book is to uplift the society from their orthodox thoughts, to highlight the social stigmas, to follow at least some ethics and fill the gaps of disparity. Kalpana is a beautiful, cute innocent kid born to the lovable Indian family with their own traditions and culture. She is an apple of everyone’s eye and lives in her own imaginary world. The changing circumstances and scenarios at each step of life from infant to childhood, teenager, and adulthood taught her new lessons. She was courageous and didn’t lose heart or break anywhere but stood as a much stronger and bold person after each setback. At the age of 21, she is a much more mature person compared to youngsters of her age. Nidhi, the first and eldest child of the joint family, was a teacher, friend, sister and guardian to Kalpana. She was a role model but just a single mistake by her ruined the honor of the family. The whole family went into depression and became conservative. Rules changed for other siblings too and they had to fight for every action. Kalpana had to fight even for her future and education. The fight didn’t end there. Further the malicious or false allegations of pregnancy made her life worst. The writer has clearly coordinated the role and significance of each person in the family, especially towards a growing child. How a single incidence can spoil or change the environment of the house and simultaneously impact the relations. She has smartly marked the emotions like a struggle, trust, gesture, feelings, learning etc with the relations and incidents happening in the family. As such there is no end to this story but then, this is just the part one of Kalpana. The writer promises to tell us what continues with her in next phases of life. So stay tuned to know ahead and I personally feel there is something exciting ahead which will tell us more about the truths of life. I won’t say Kalpana is the best books I have read till today, but surely it is a great effort by the young author and technocrat. She holds a good motive to bring the gender equality, to make women realize they can choose what they like or not and fight for her rights. The book is simple and breezy read. It holds you till the end to know what will happen in the next chapter. The book can be read in a calm and relax manner. It runs over 99 pages and has strong deep hidden messages on each page. I recommend this book to all the readers (both men and women) and especially to the youngsters, so we get some inspiration and together make an effort to change the social marks of disgrace for everyone. Ratings – 3.5/5 stars from me. Oh! You want it right away. Buy here at Amazon.in! Kalpana seems to be an interesting book. If it weaves a story about gender equality in the Indian context, it must make for some interesting reading. I love to read fiction from budding Indian authors as they come with very fresh perspectives that are closer home. 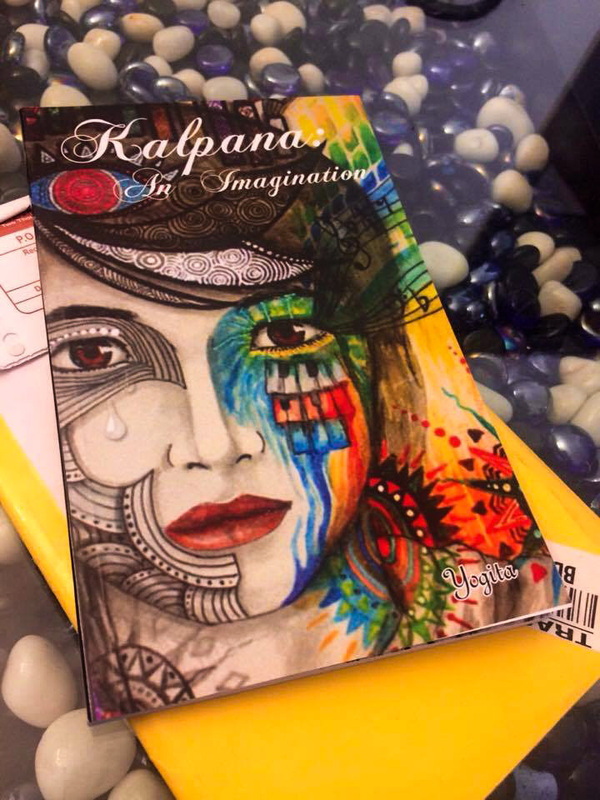 Yes, Kalpana: An Imagination is an interesting book. So, if you love to promote and read fiction books written by budding authors, surely give this book a try. I will eagerly wait for your valuable feedback on my first book. Thank you. Hi, thank you for your valuable comment on this review. I am eagerly waiting for your feedback as well. Being an author of this book, all I can say is this book is a step towards change so, I need everyone’s support to spread this message across worldwide.